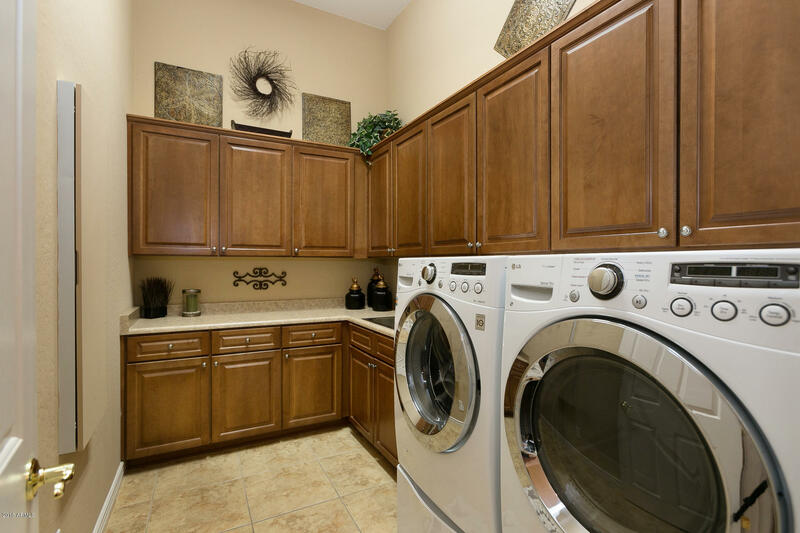 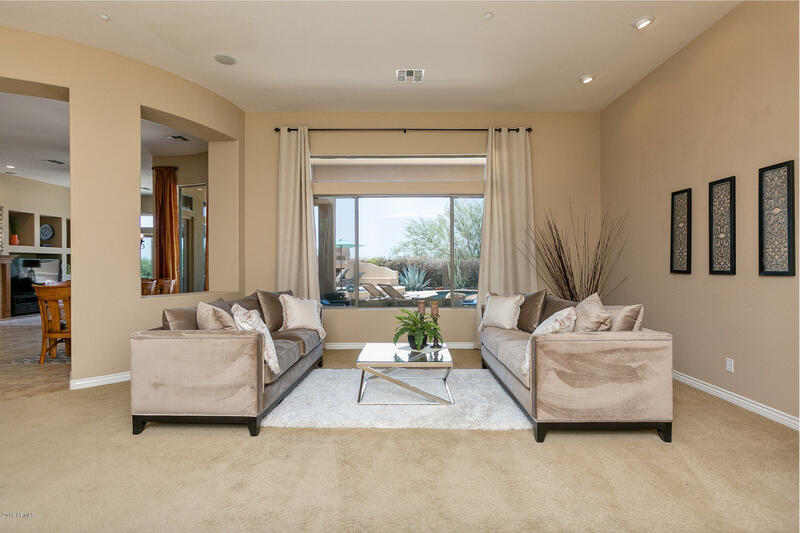 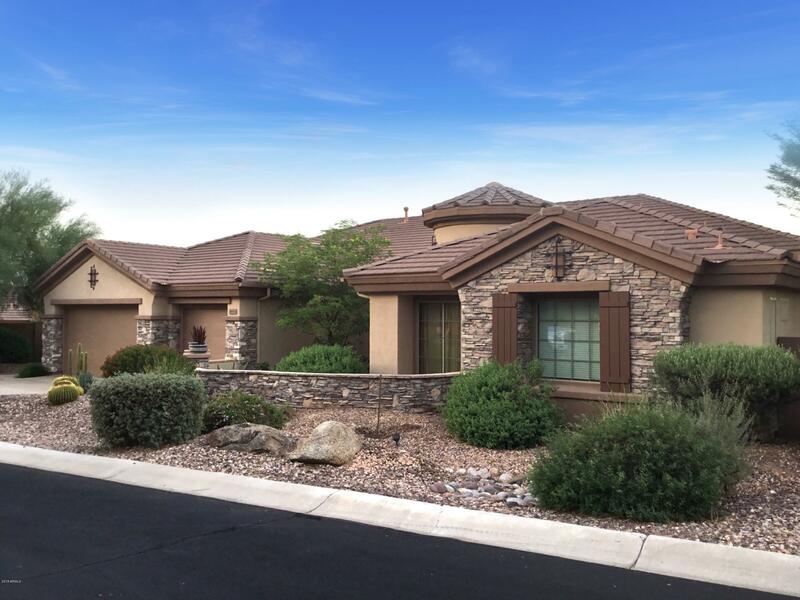 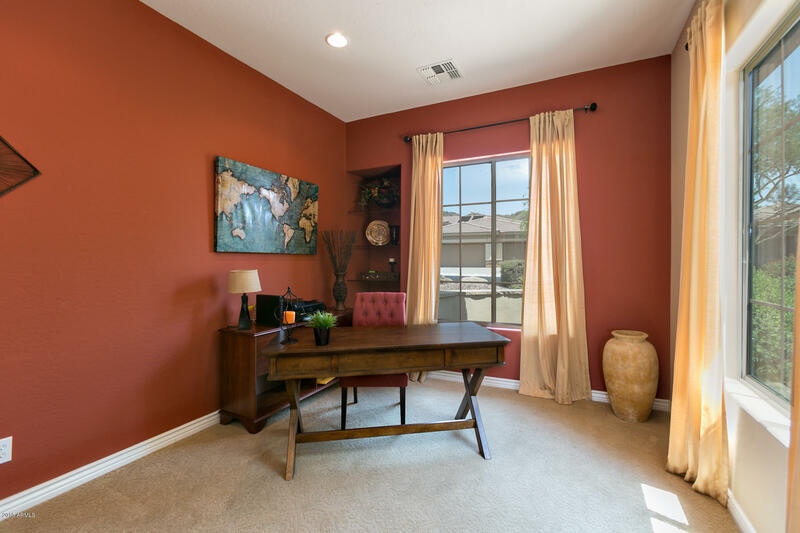 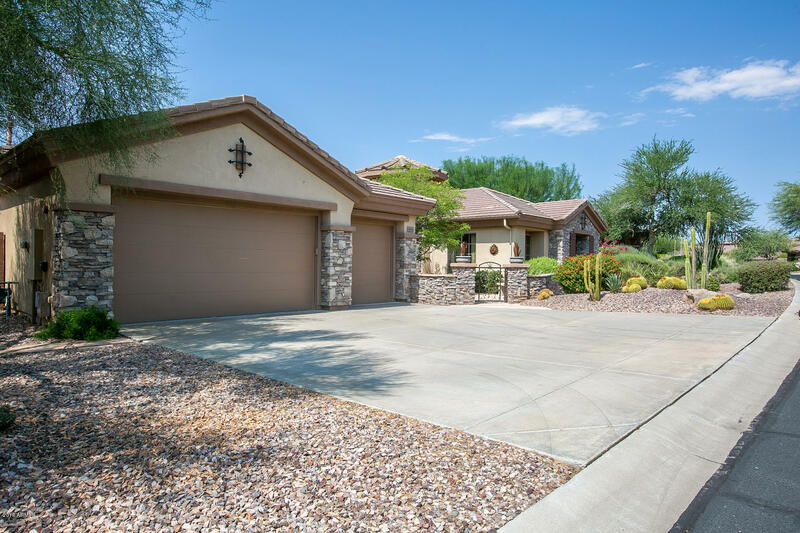 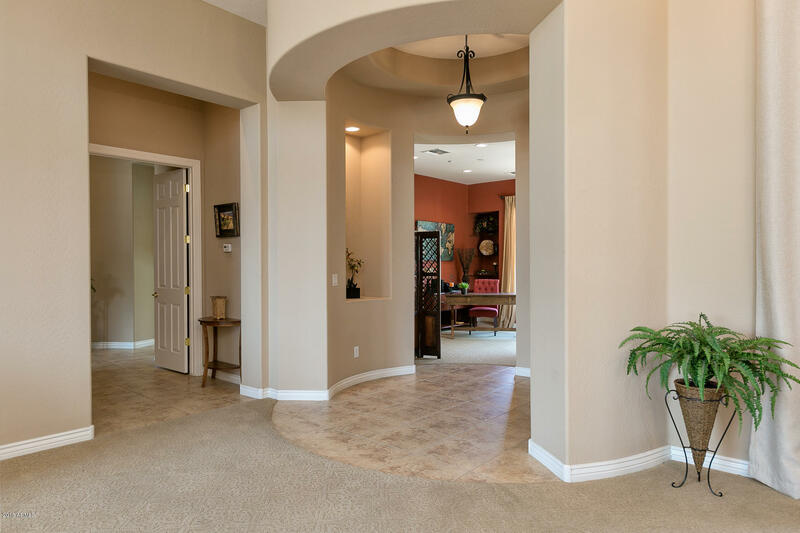 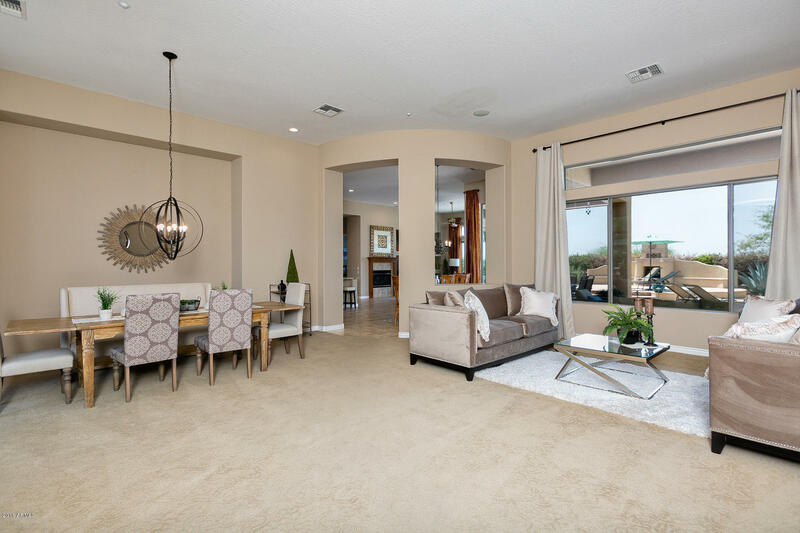 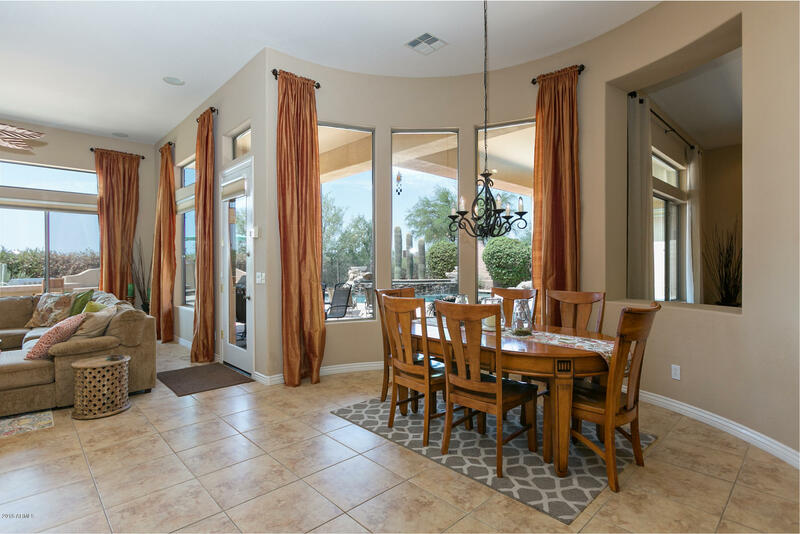 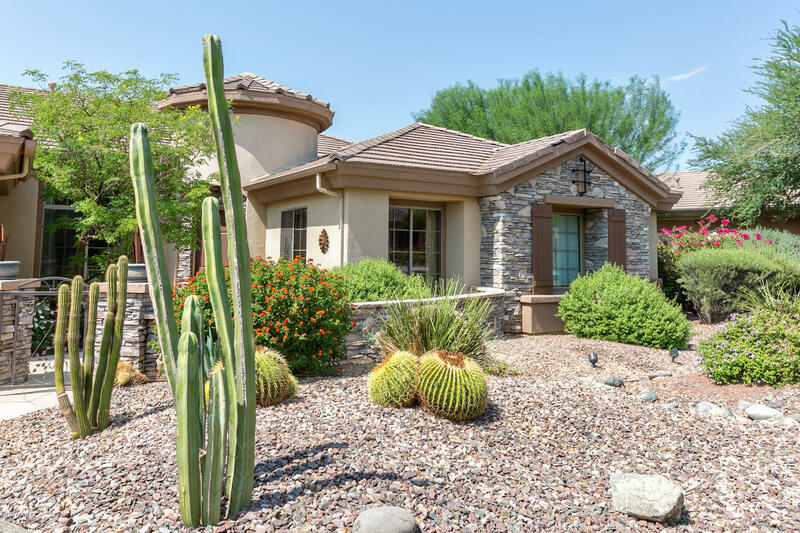 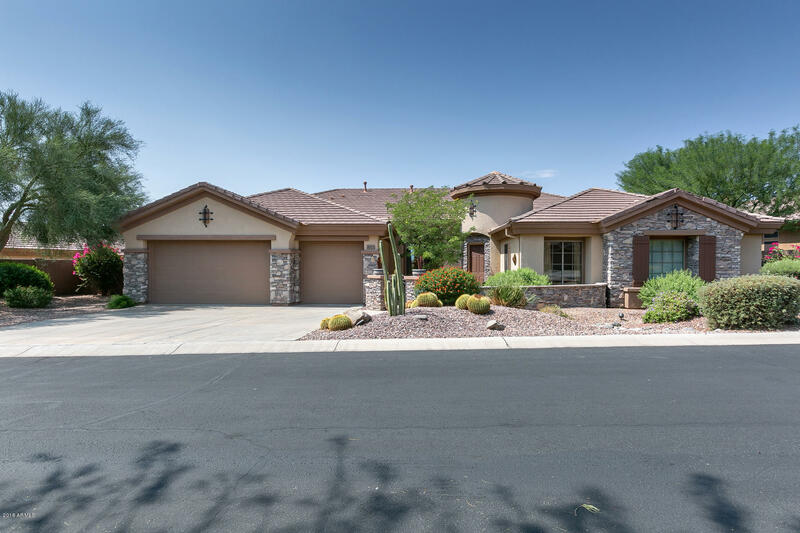 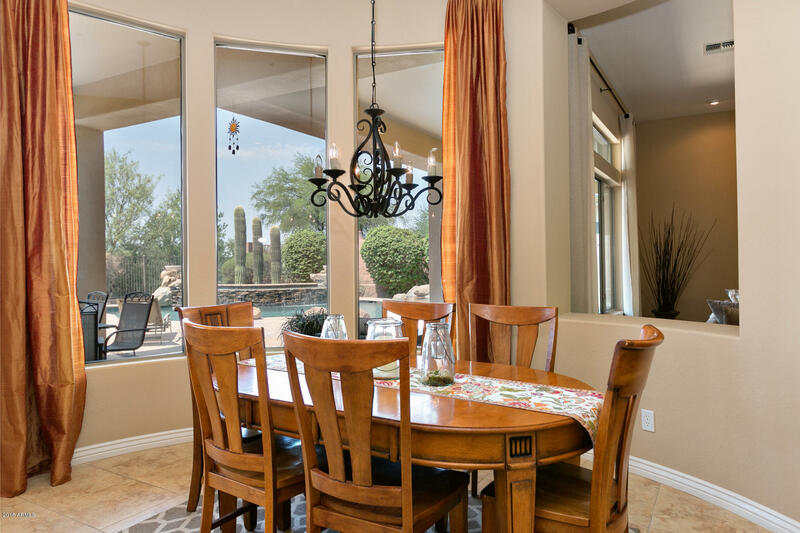 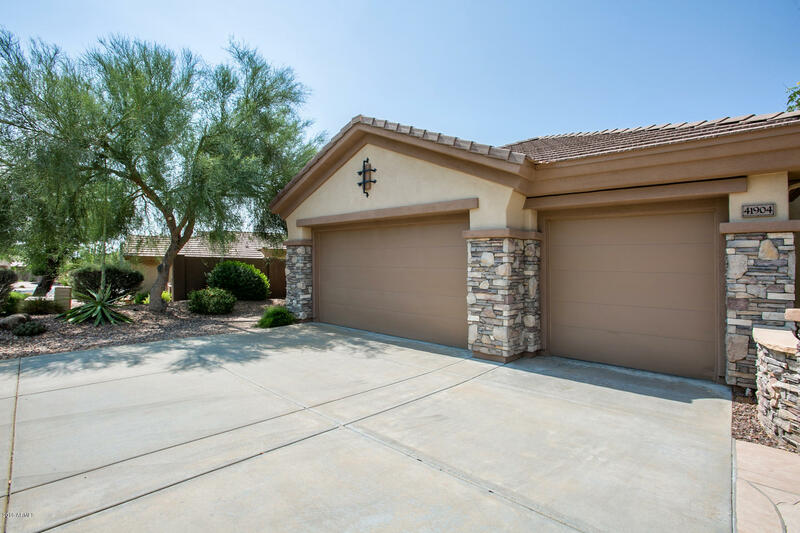 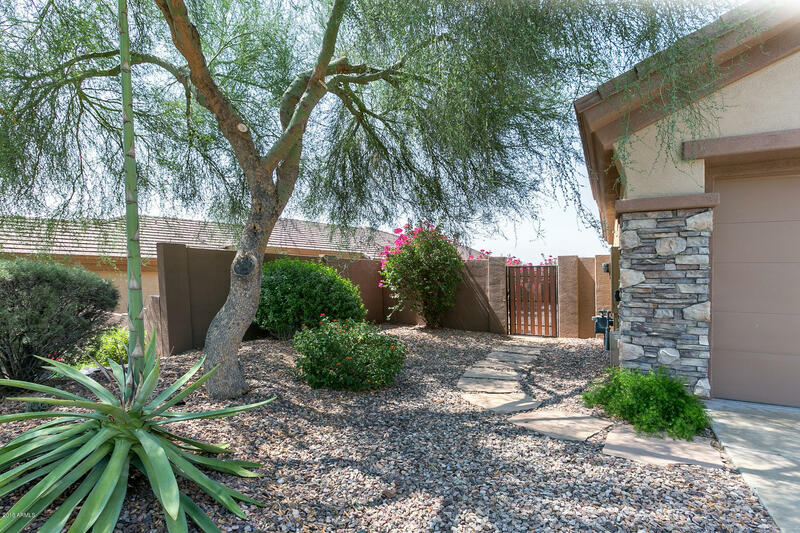 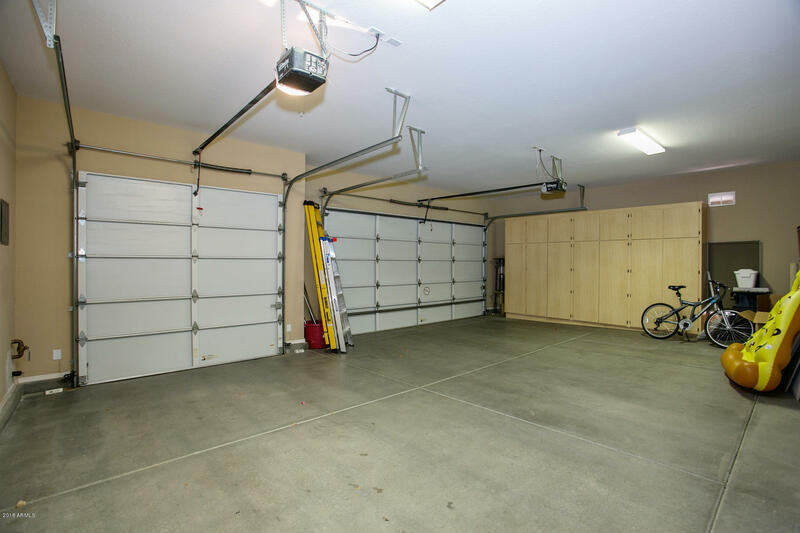 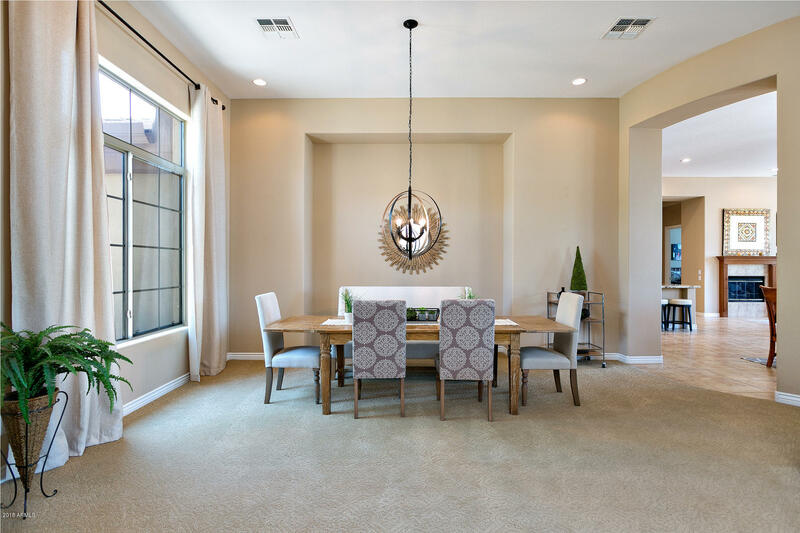 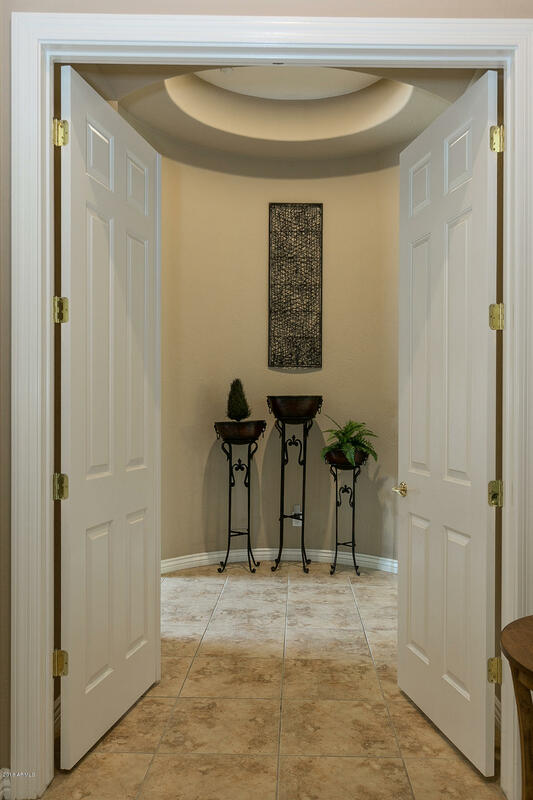 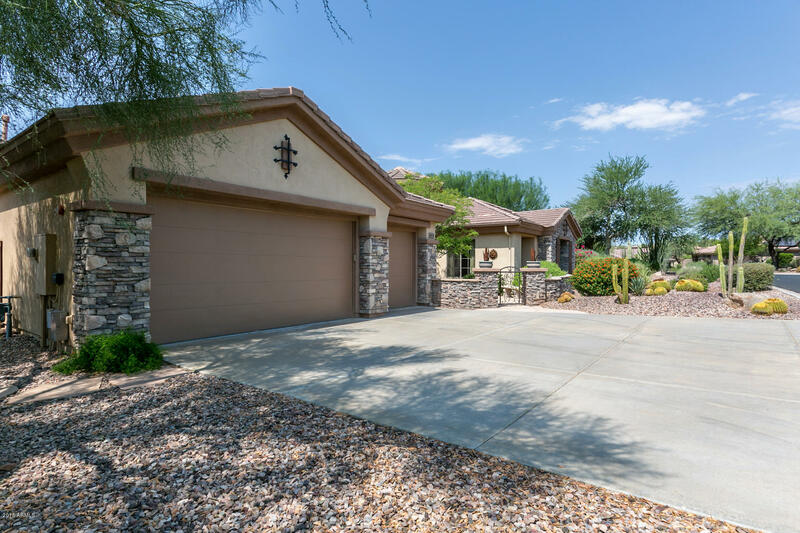 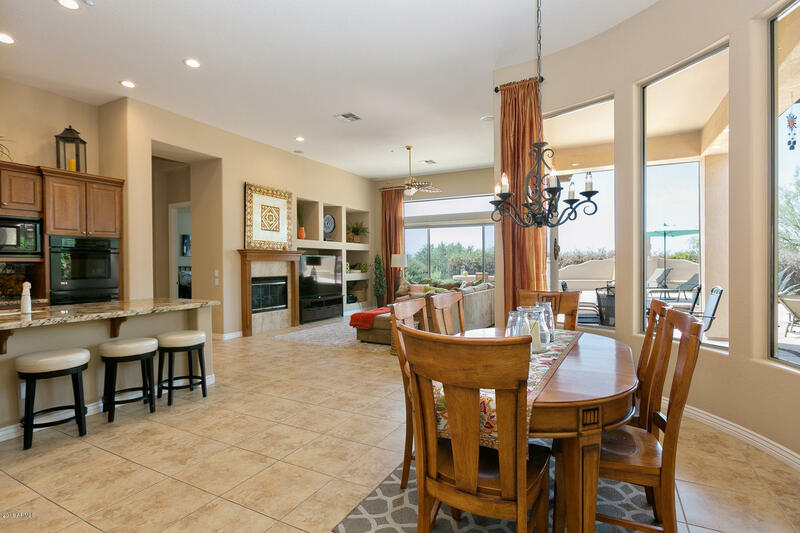 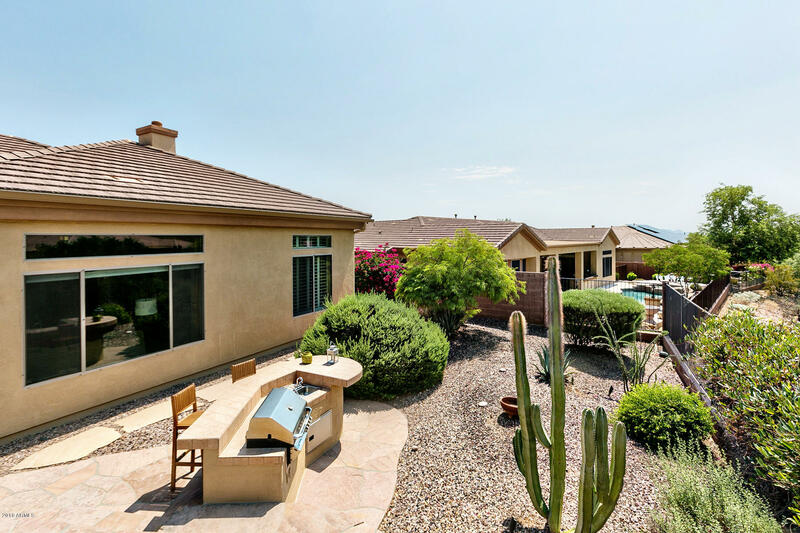 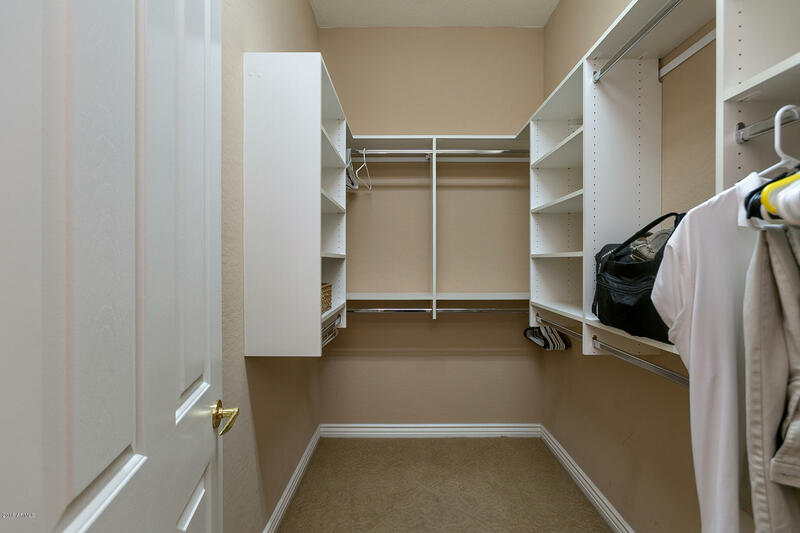 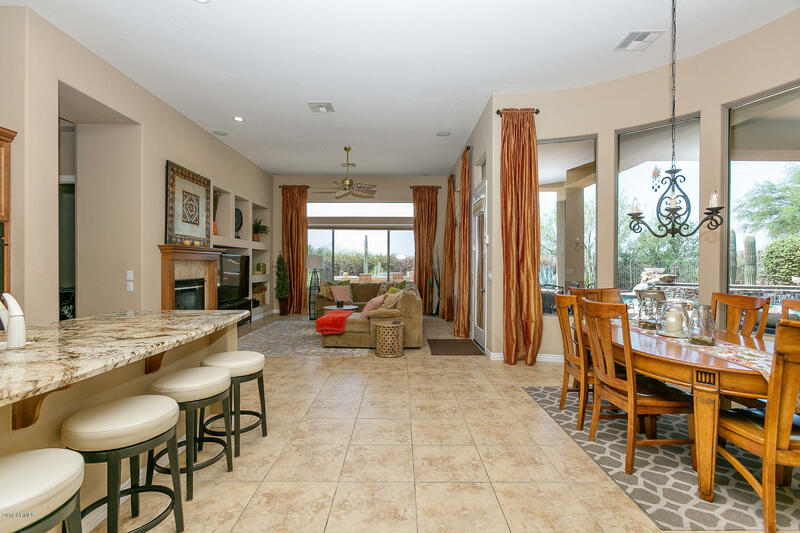 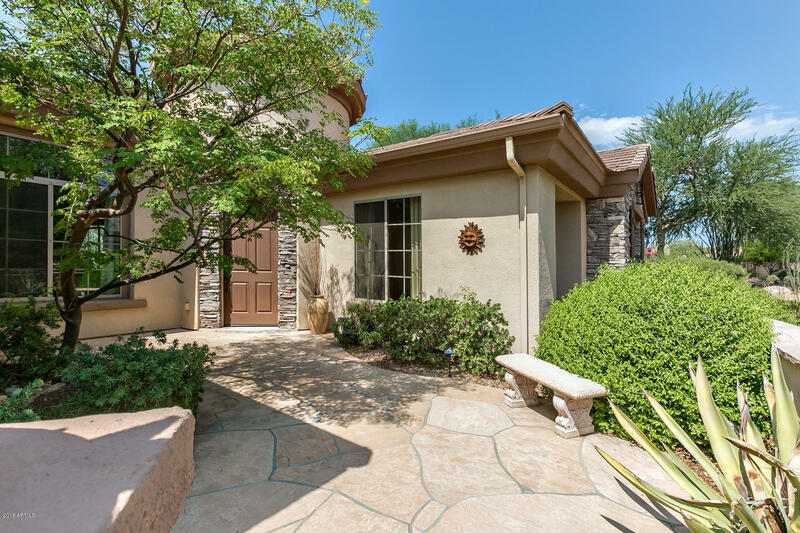 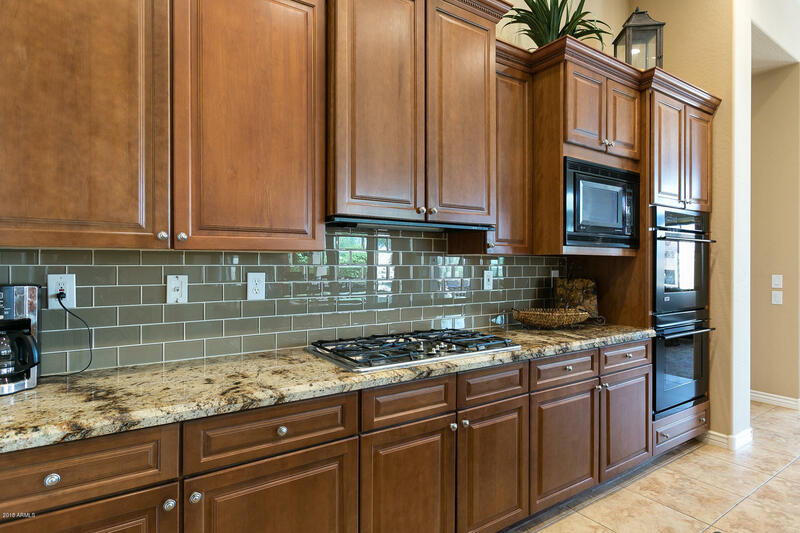 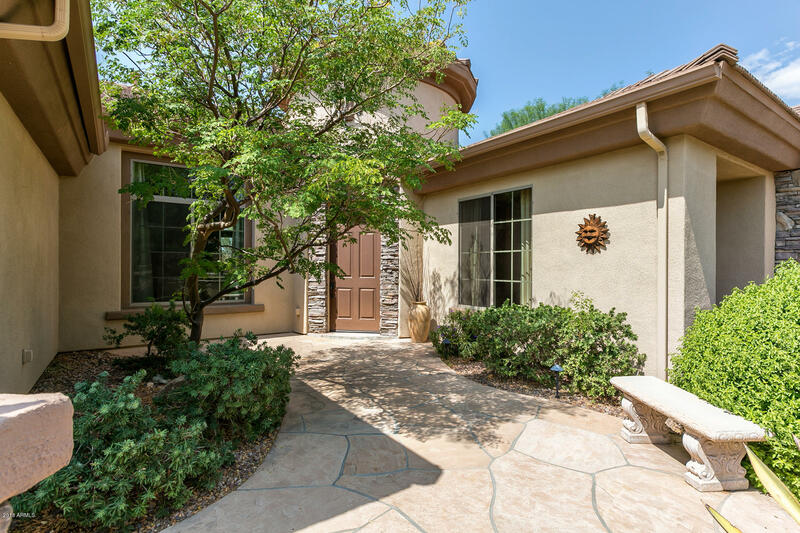 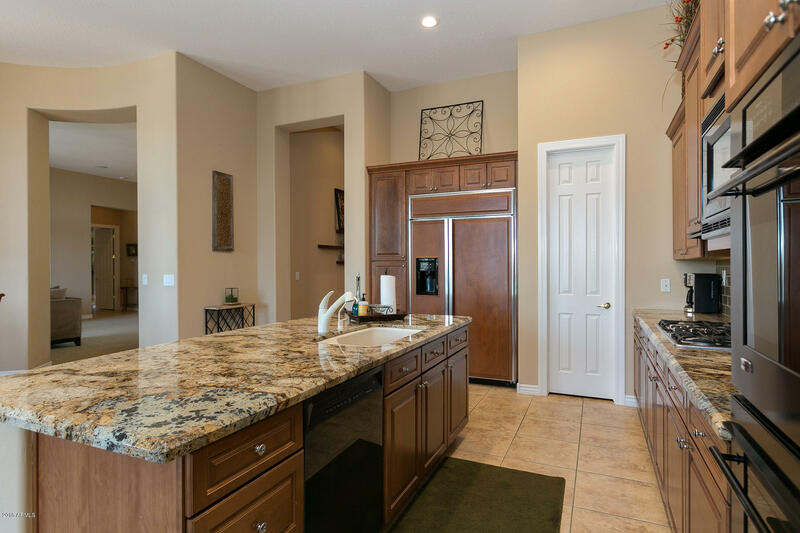 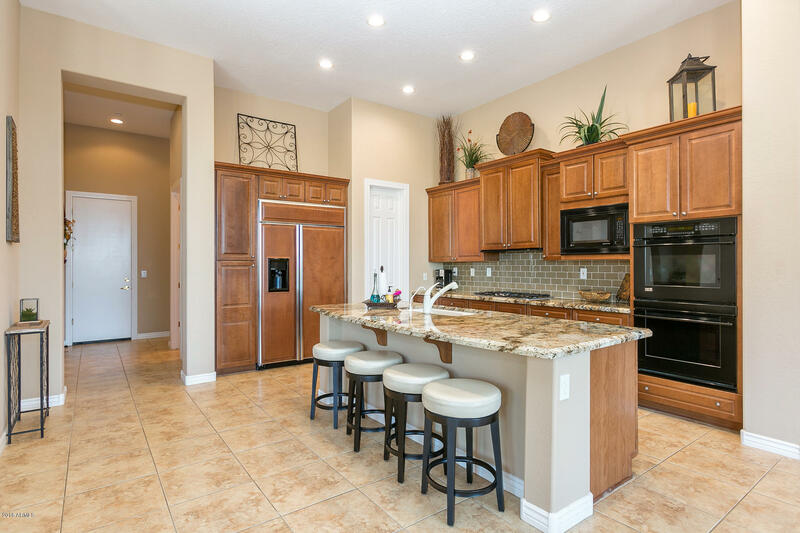 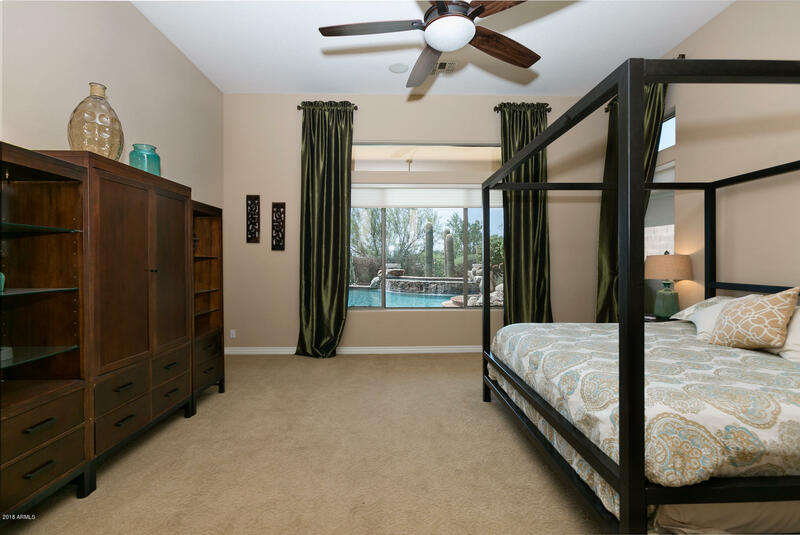 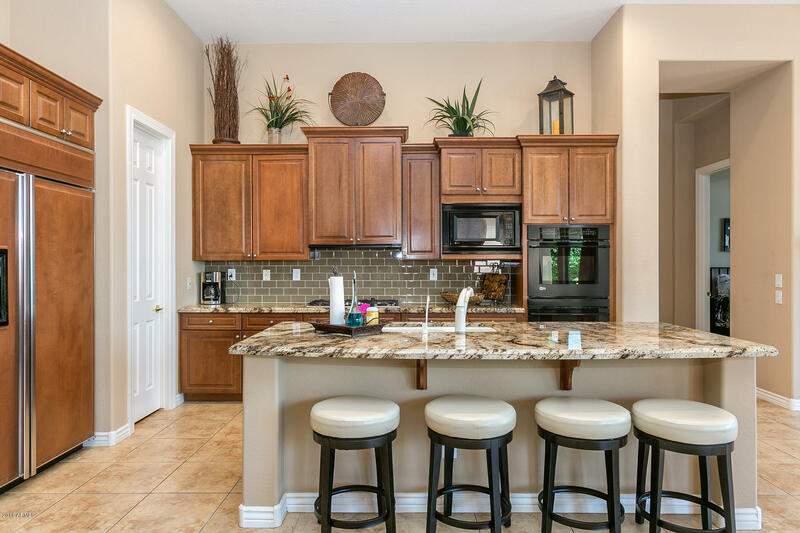 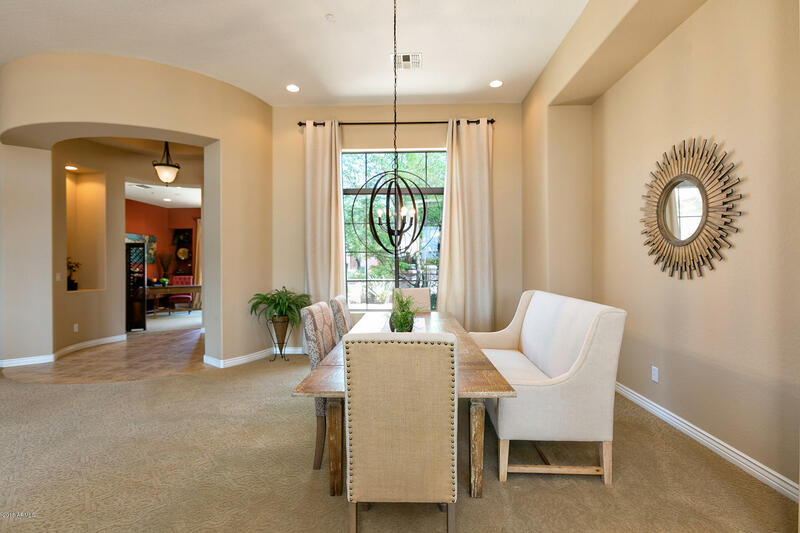 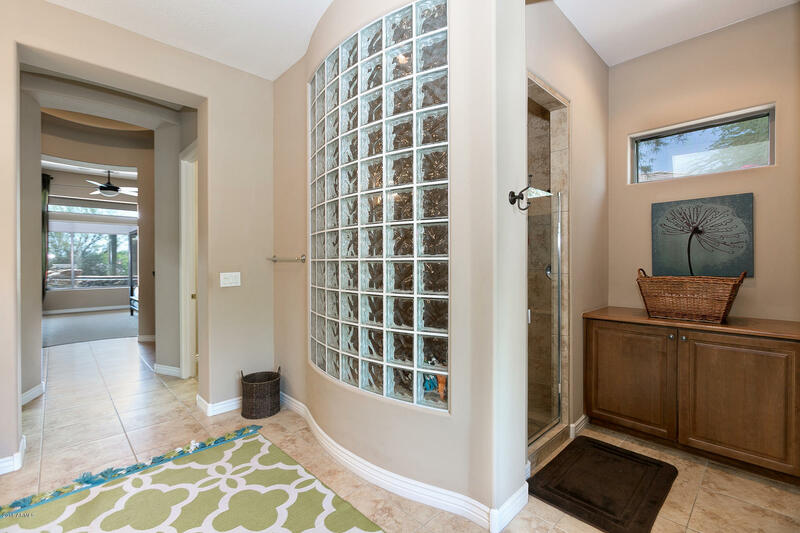 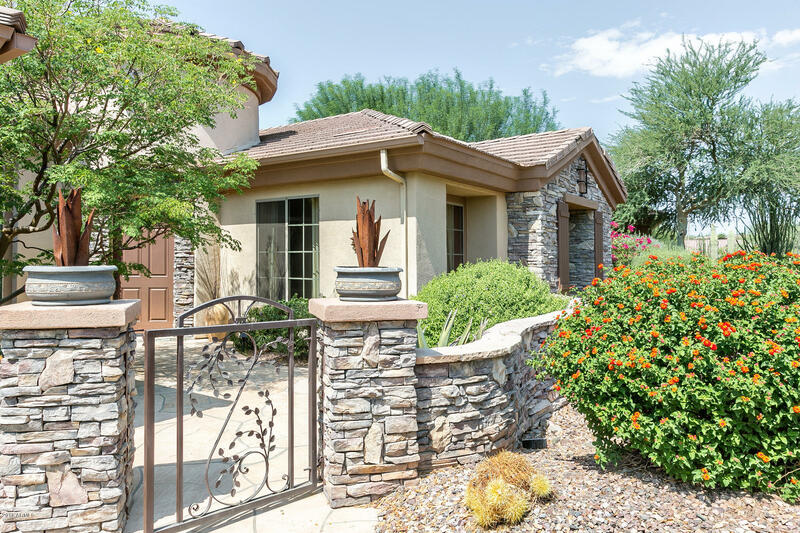 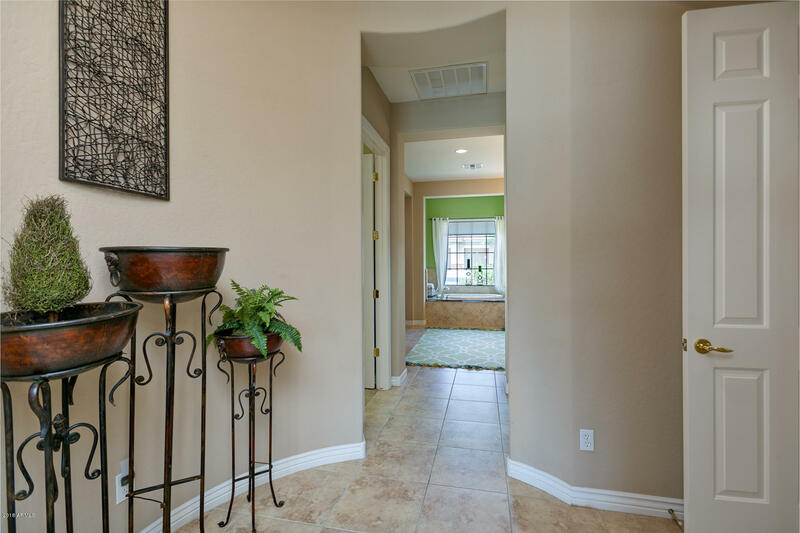 Stunning 3 bedroom, den, 2.5 bath Brentwood model in guard-gated Anthem Country Club! 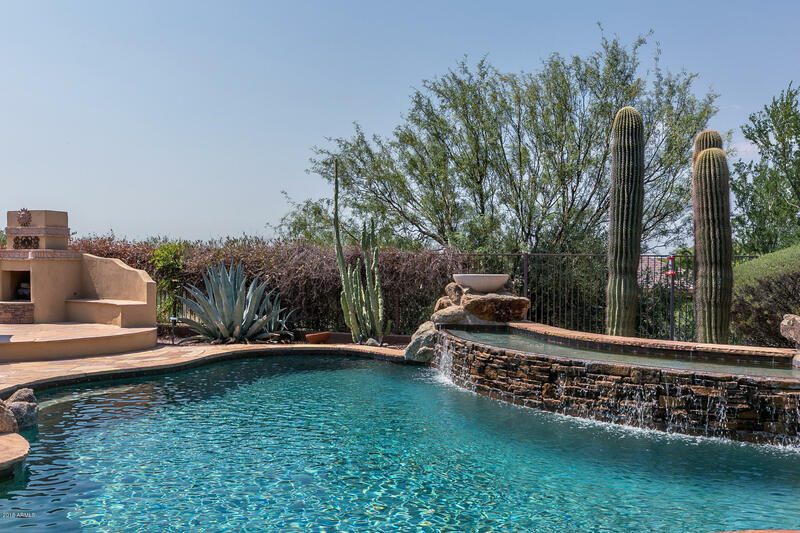 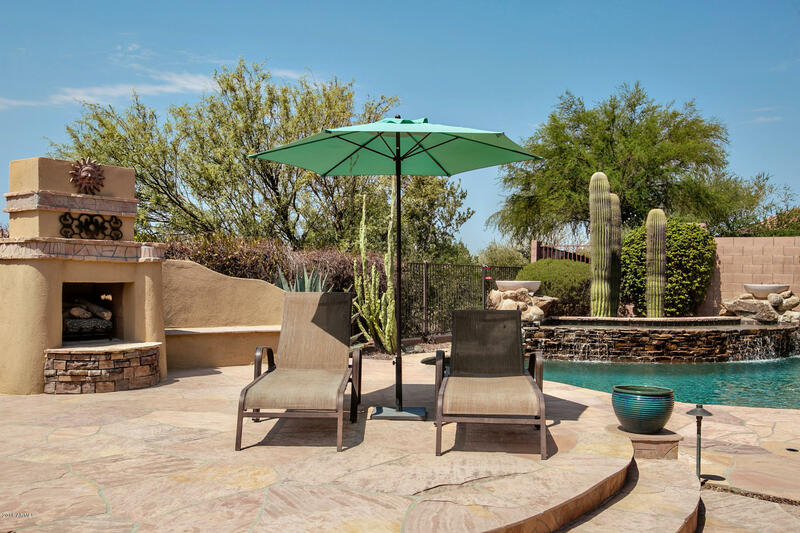 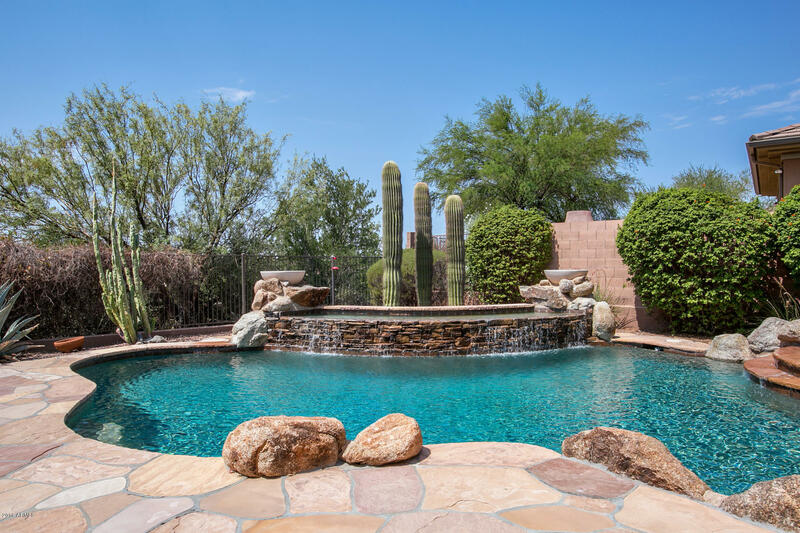 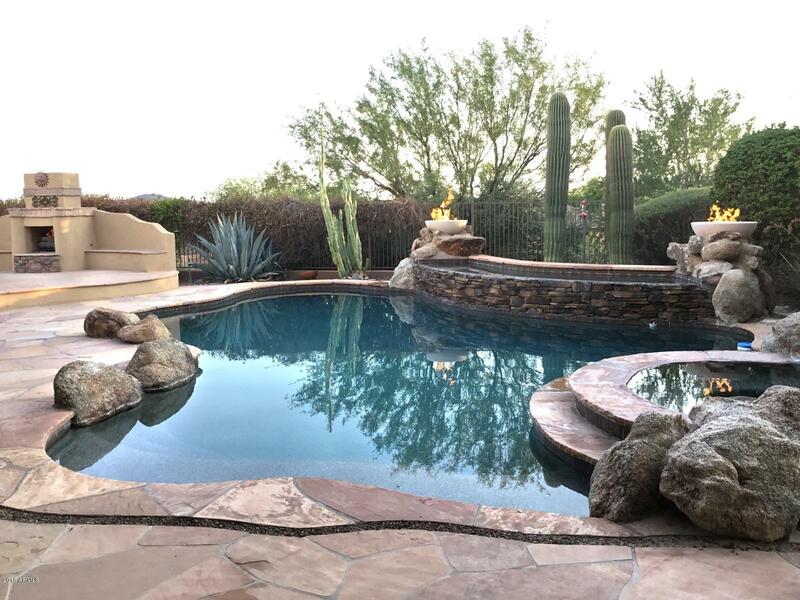 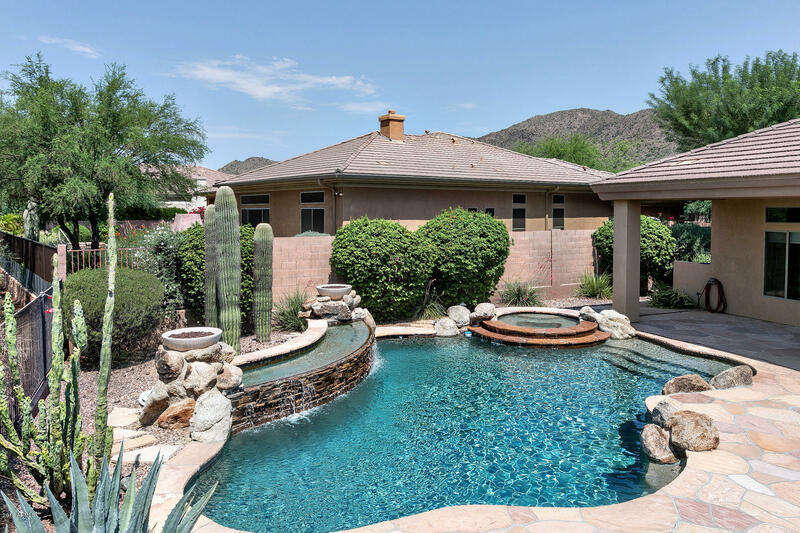 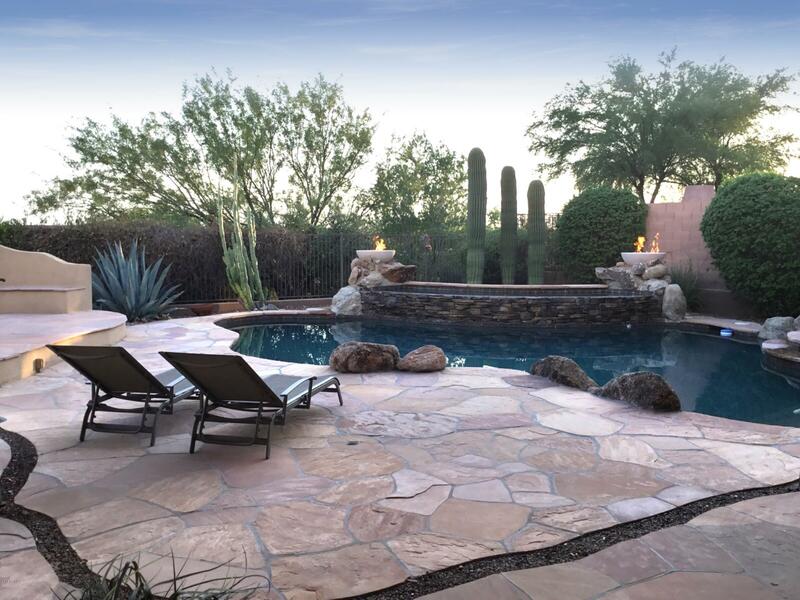 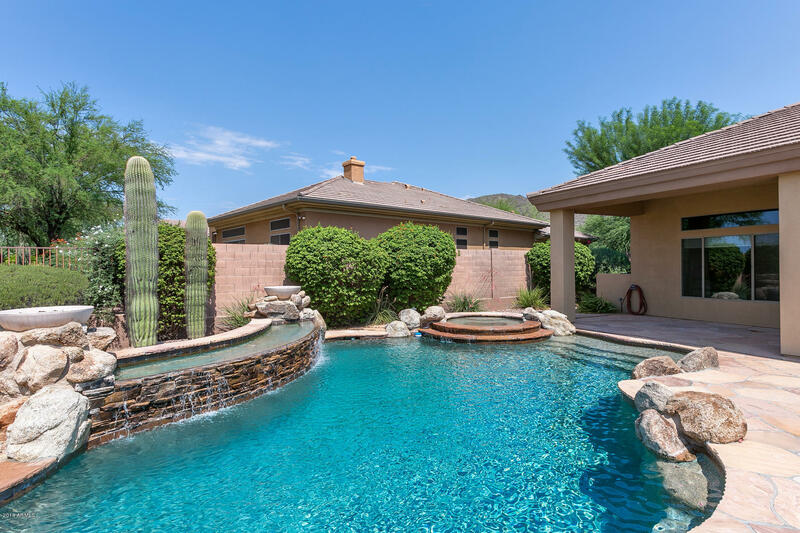 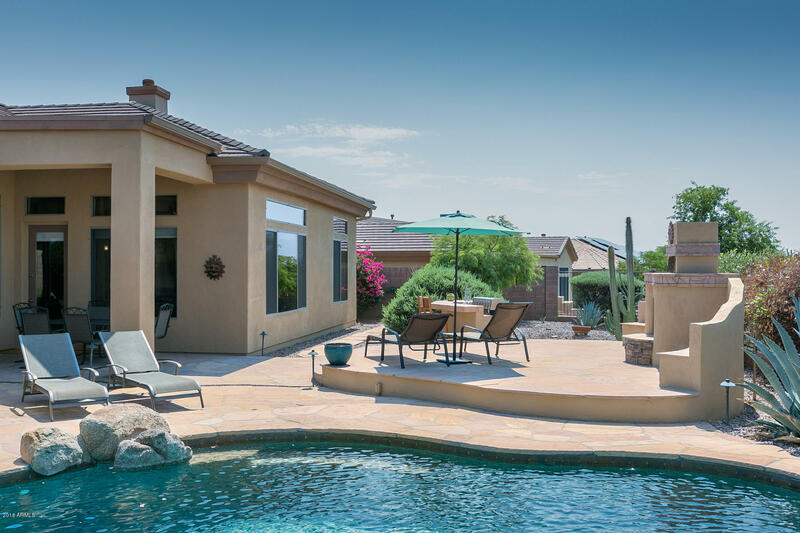 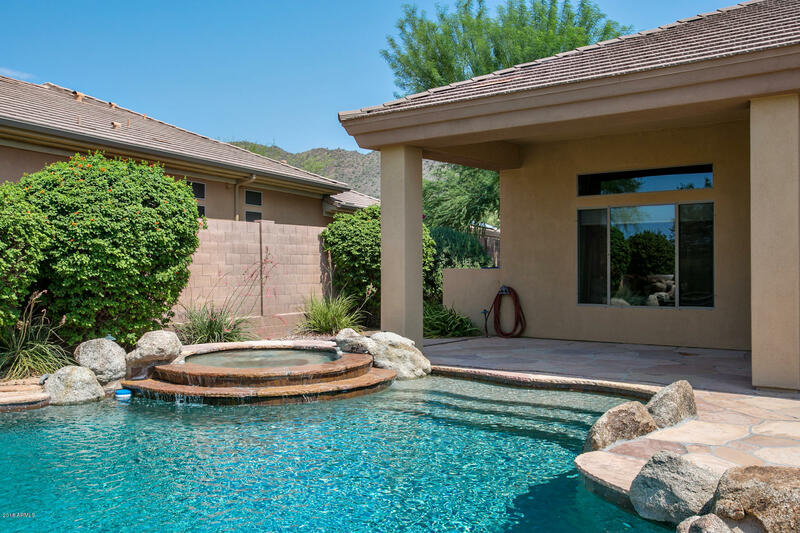 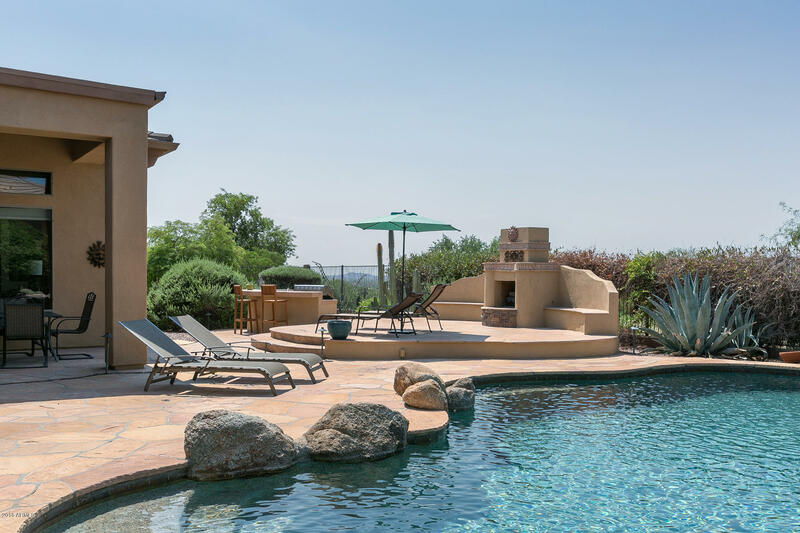 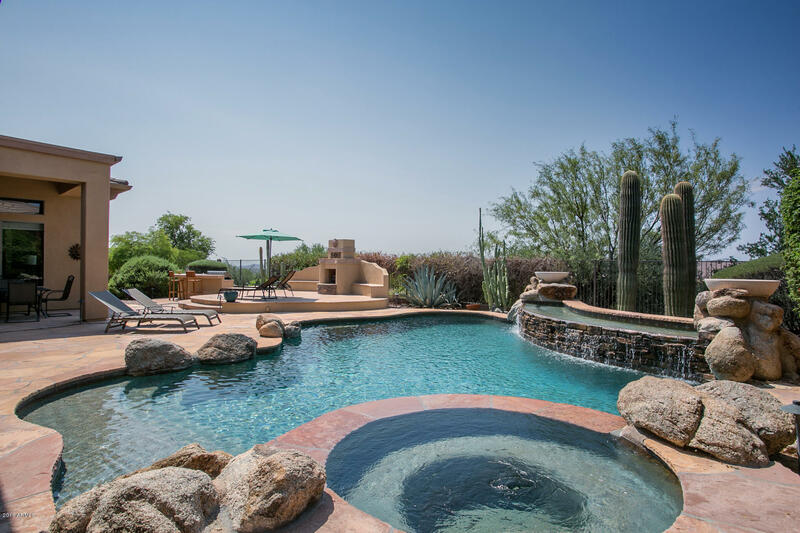 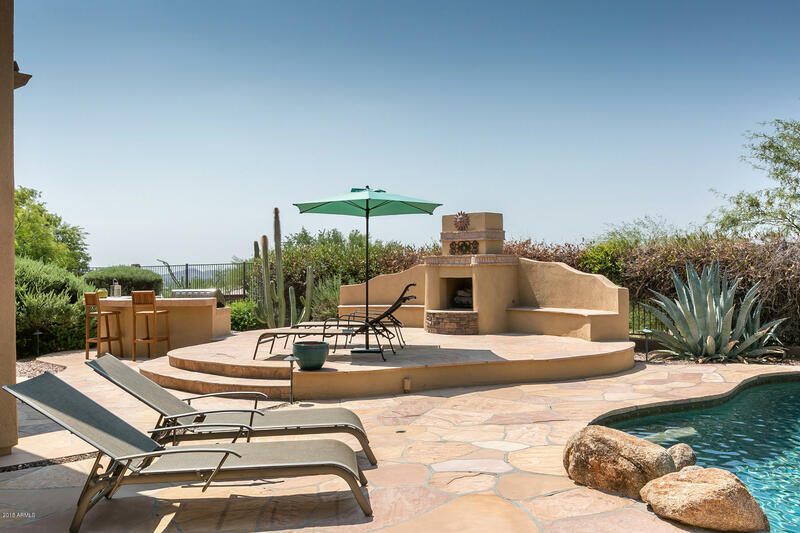 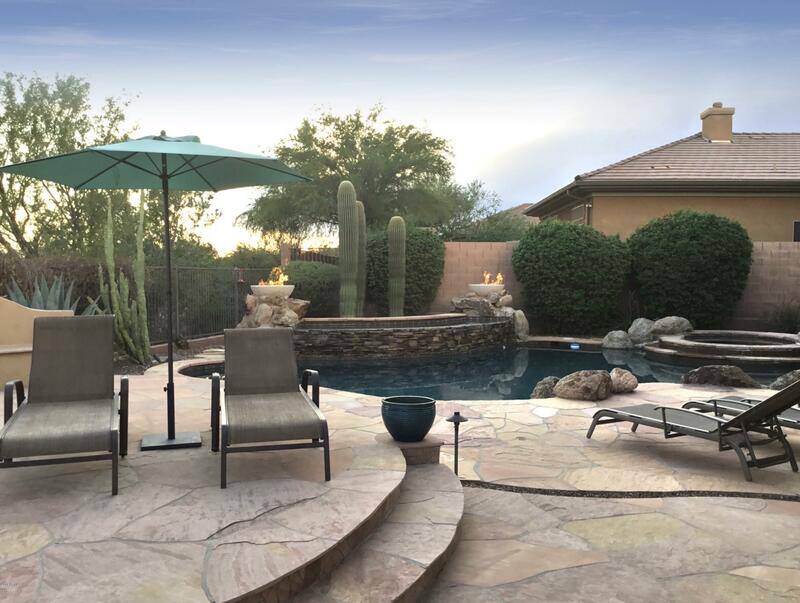 Magnificent backyard retreat featuring a heated pool and spa with fire woks and a stacked stone water feature. 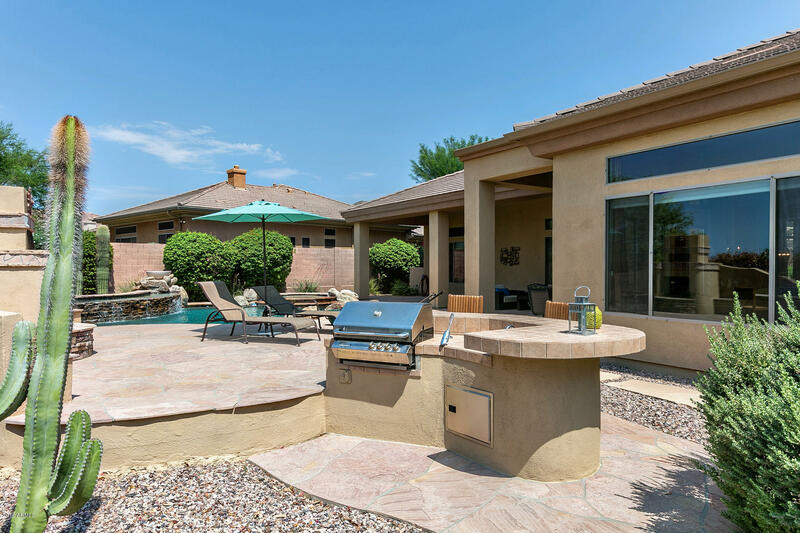 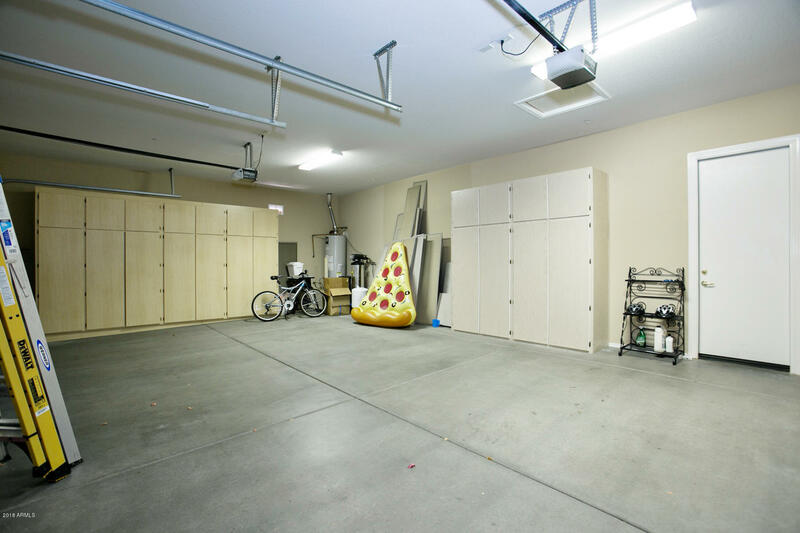 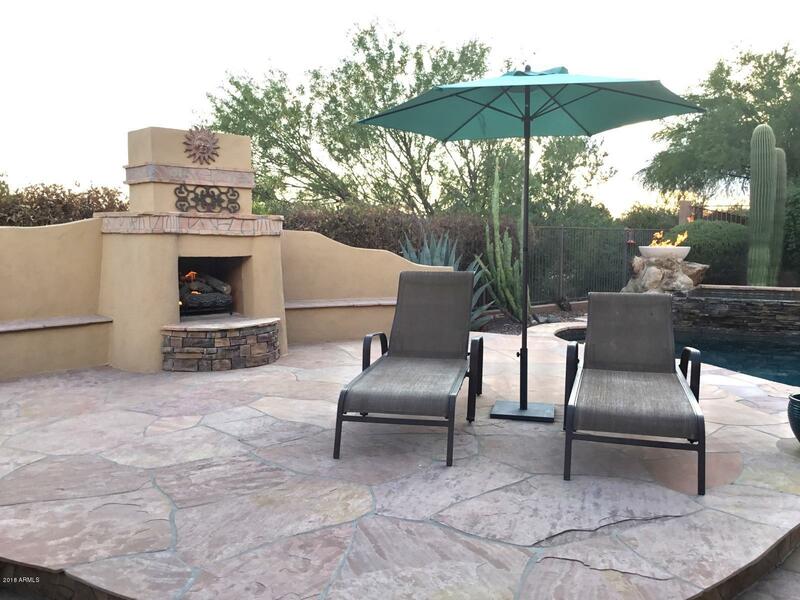 Built-in BBQ, outdoor kitchen, gas fireplace and elevated flagstone patio backing to wash with mountain views. 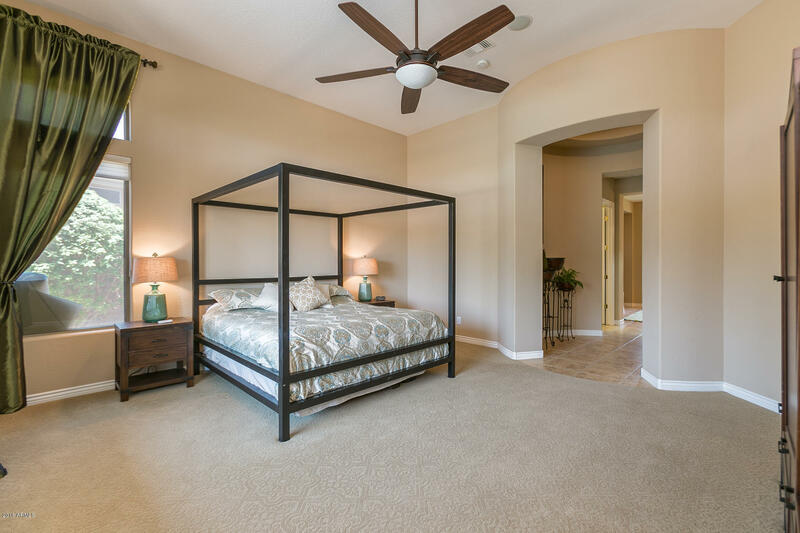 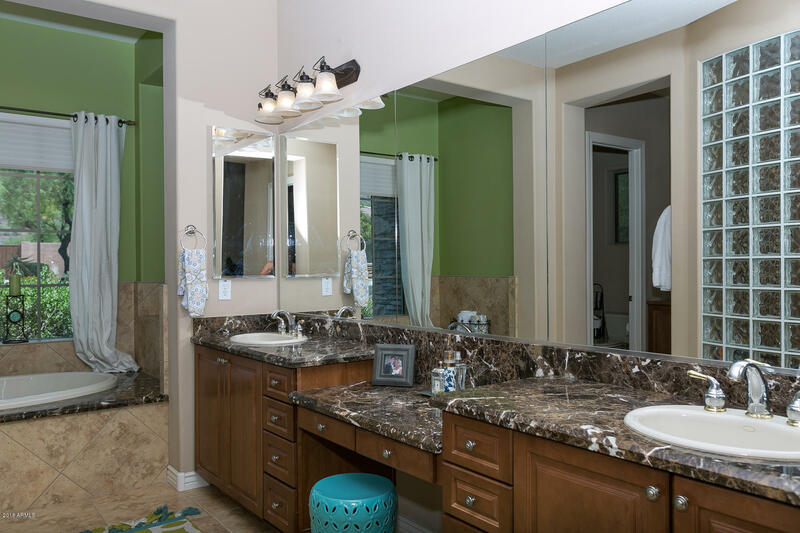 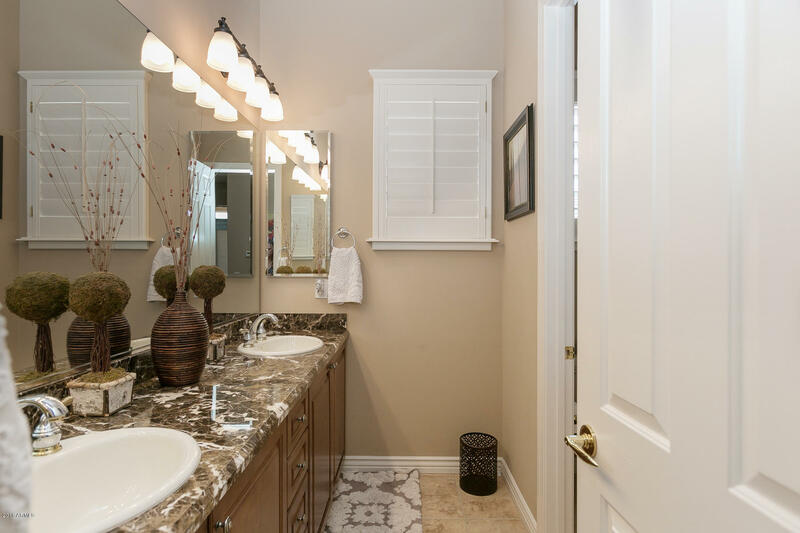 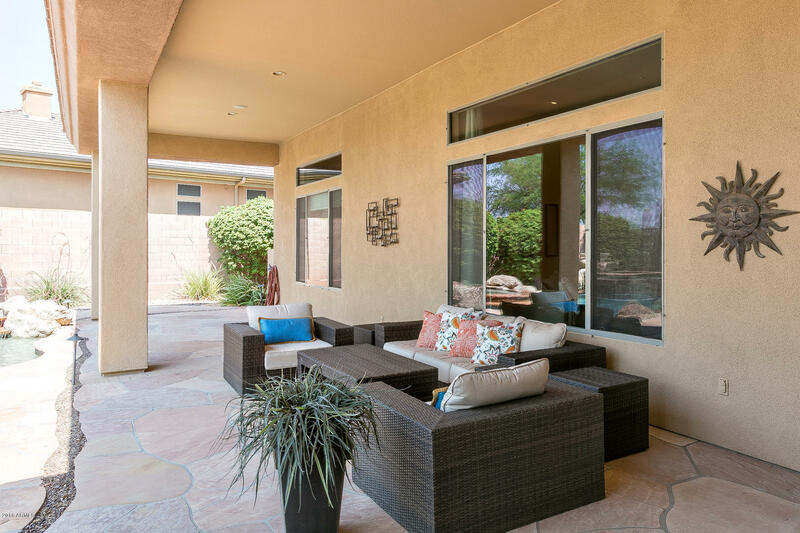 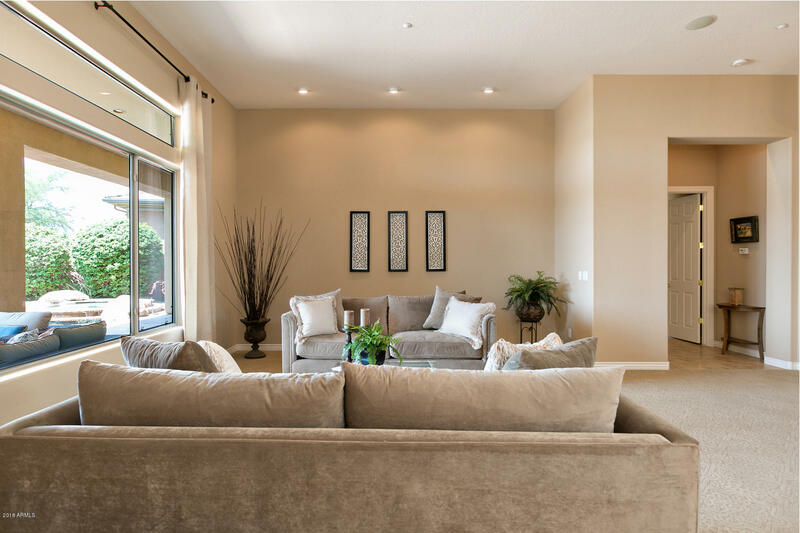 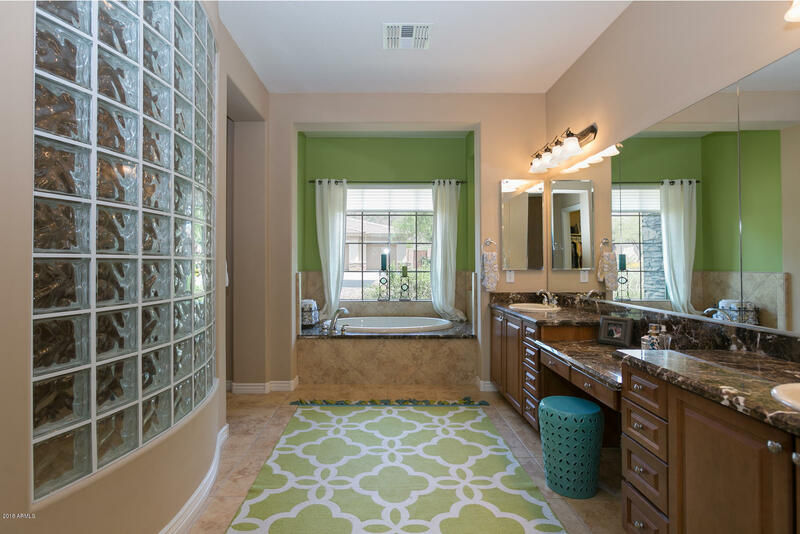 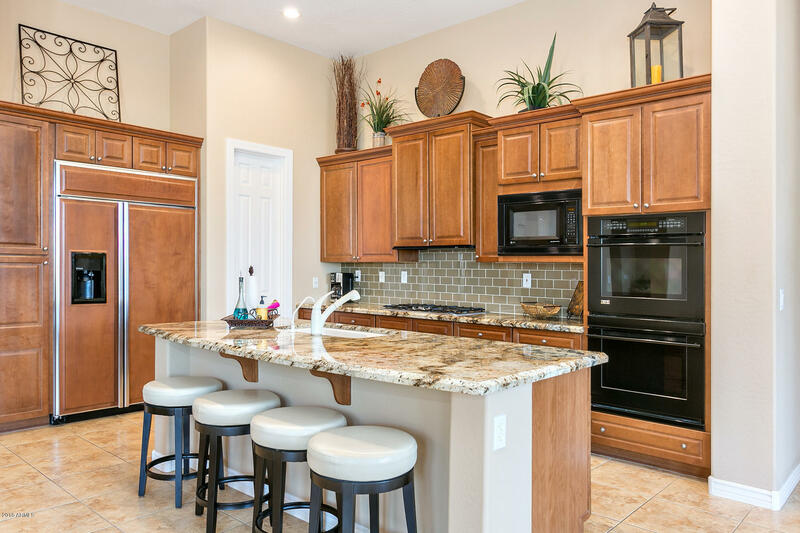 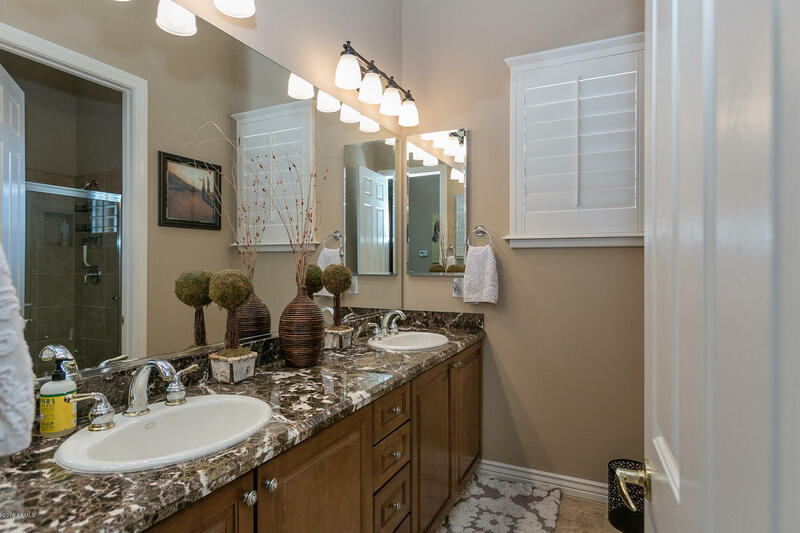 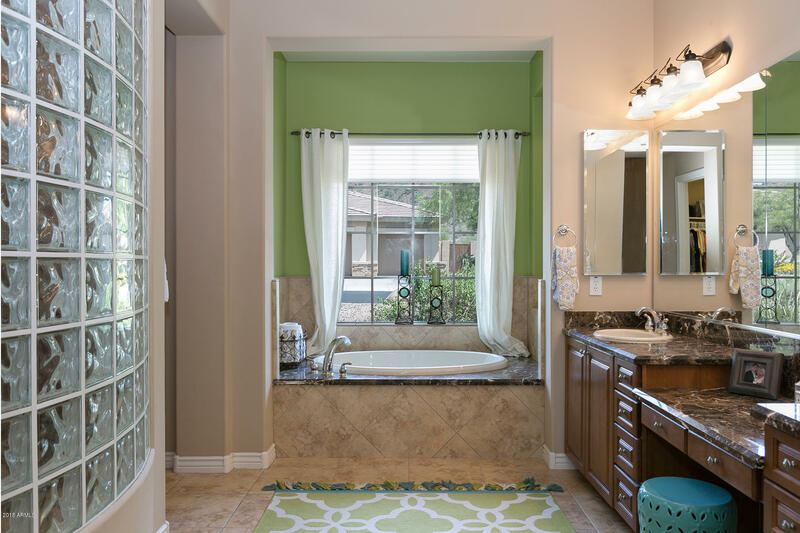 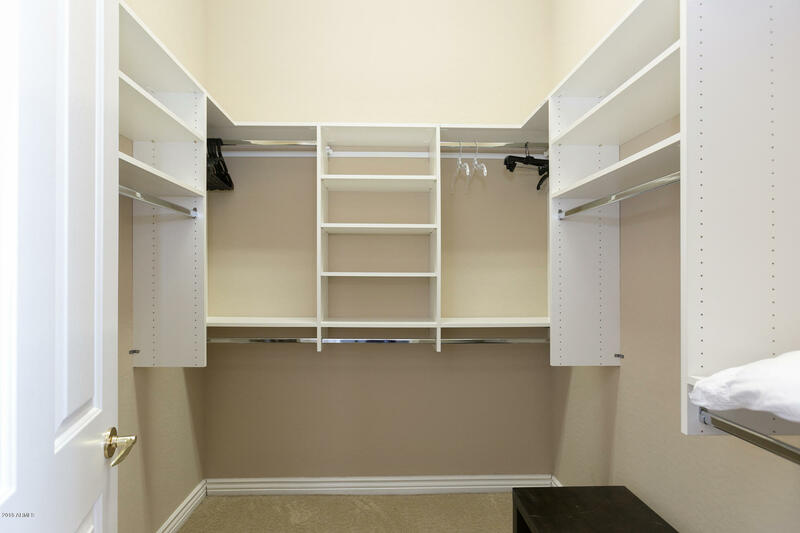 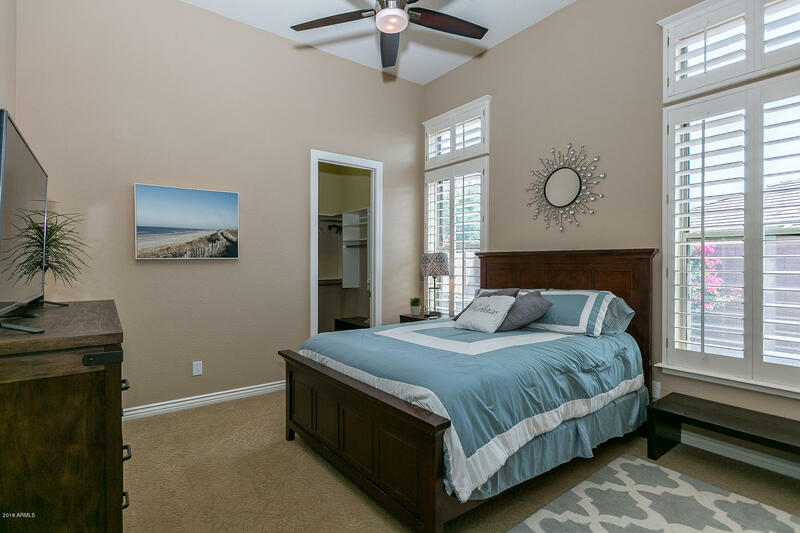 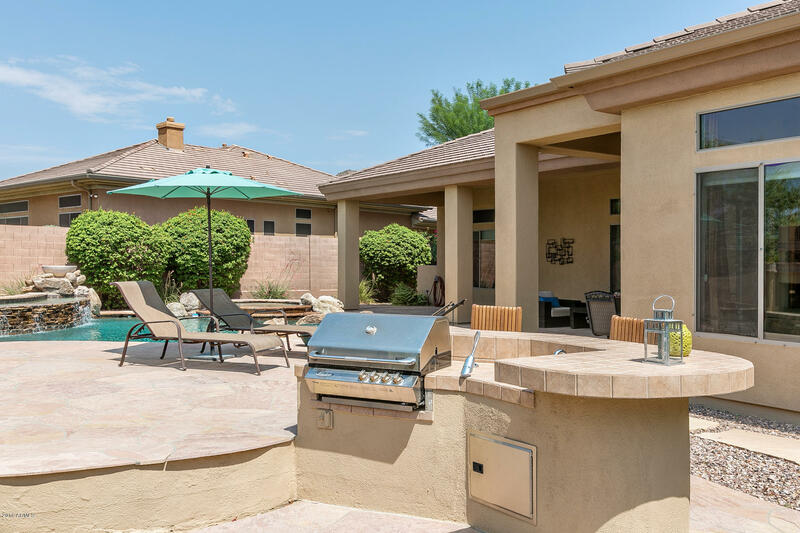 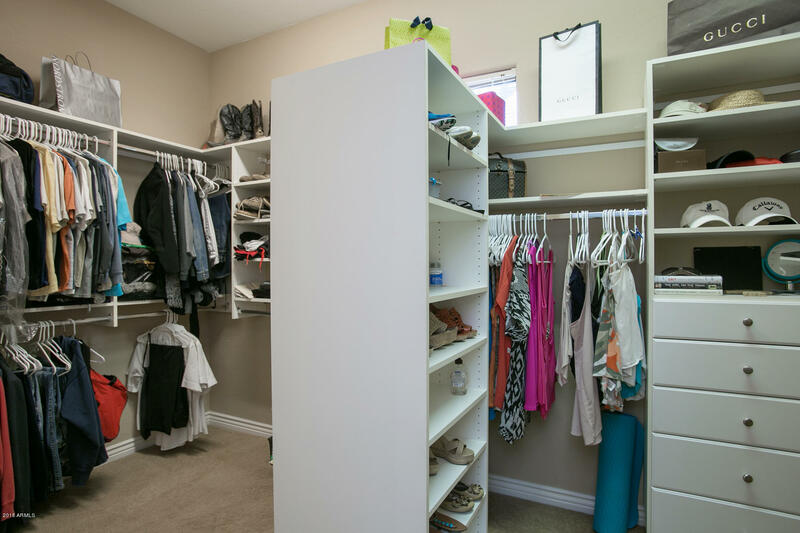 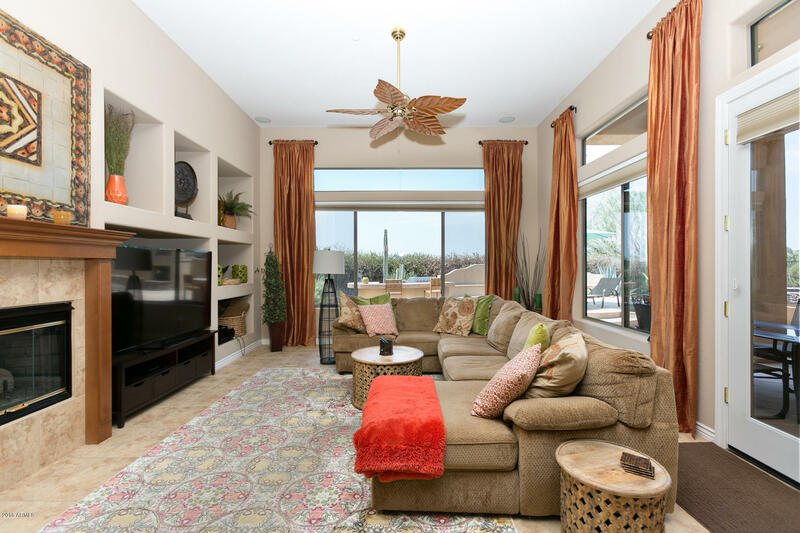 Interior custom elements include a gourmet kitchen with slab granite, electric cooktop, wall ovens and raised panel cabinets, designer tile flooring and a well-appointed master suite with double walk-in shower, soaking tub, two walk-in closets and dual vanities. 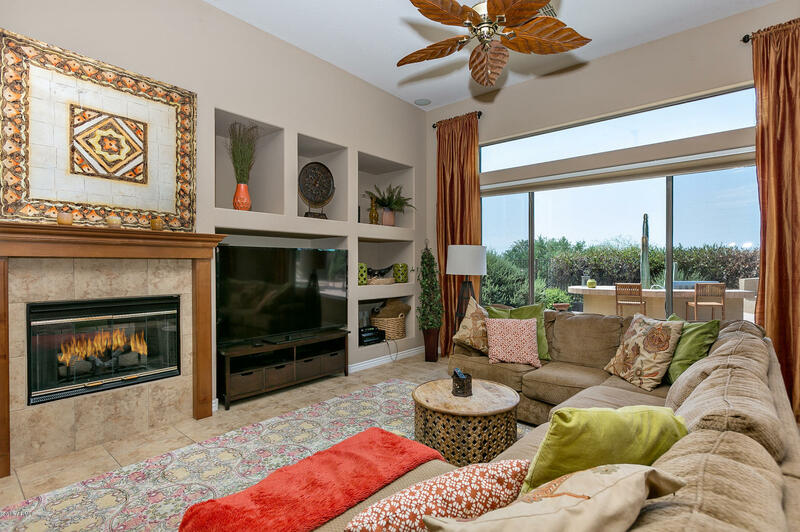 Interior gas fireplace in family room, many open spaces for entertaining, 3-car garage, model perfect and move-in ready!